The Bob A Malhotra in Richmond, Indiana provides the following products. To learn more about each insurance product, click on the links below. Don't let confusing terminology keep you from driving with quality insurance. If you have questions about your protection, then [c_agentDisplayName]] is here to help. At Bob A Malhotra, we work with Nationwide to provide you with personalized automobile insurance solutions. No matter where you are in life, we will make sure you get the coverage that is right for you. With Nationwide's On Your Side Review®, you leave our office knowing you have the right coverage for the drivers and vehicles in your household. For example, when an accident happens, having uninsured and underinsured coverage options could help in case the other party cannot pay for the damages caused. You can also get our roadside assistance and rental reimbursement insurance to get you back on the road faster after an accident. We will work with you to ensure any discounts you qualify for are applied to lower the impact insurance has on your budget. There are discounts for good drivers, good students, and even for ecofriendly practices like our paperless billing plan. If you are driving in Richmond, know that we will always be there when you need us. Come in today and talk to [c_agentDisplayName]]. You can visit us at 8 S 8th St or call in advance at (765) 966-3814 to schedule an appointment. We welcome any questions you may have, so do not hold back. Our goal is to provide you with affordable and understandable vehicle protection. Although you don't expect it, you know that a natural disaster can happen or that a break-in might occur, resulting in a loss of valuables or damage to your home. There are even emergencies that arise from installing a pool system or living in different areas. Having a good home insurance policy in place will go a long way toward providing the kind of reassurance you need to get through a rough time, making any claims process stress free and easy. You can rely on the professionals at Bob A Malhotra to put together a policy that will afford protection for your home, your possessions, and your family. We also provide an excellent claims service to help you get back to normal following a loss, and our discount program is available to save you even more. To learn about our policies, just call Bob Malhotra at (765) 966-3814, or drop by our office at 8 S 8th St.
No matter if you have a family, a spouse or are single, you need a life insurance plan built with the help of Bob Malhotra in Richmond. Your plan is intended to provide you and the people most important to you with complete peace of mind, but you might be uncertain as to what kind of protection is best for your particular needs. Know that you have quick and easy access to professional help to ease your mental burden. If you’re unsatisfied with your current life insurance protection, or if you’re getting insurance for the first time, do yourself a favor and work with a life insurance agent who cares. When you’re ready, we’ll be waiting for you at Bob A Malhotra located at 8 S 8th St,Richmond,IN,47374. You’re also more than welcome to speak with Bob Malhotra directly by calling (765) 966-3814. Along with versatile coverage options from Nationwide, Bob A Malhotra has the expertise to customize a business insurance solution for any Richmond company. Whether it's a golf course, medical clinic, food vendor or B2B contractor, learn how to better manage your risk with one of our expert business insurance agents. First and foremost, it's crucial that any coverage gaps are identified and eliminated. From liability insurance to worker's compensation and other coverage programs, know that your customers, employees, and business are taken care of should a covered event occur. 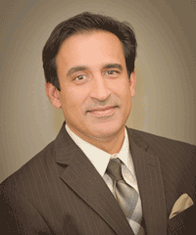 From there, Bob A Malhotra will help structure a policy around your business needs. Many Richmond owners find that a business owner's policy makes the most sense for their company, but standalone insurance coverage for liability, property assets, or commercial auto is also available. Call Bob A Malhotra at (765) 966-3814. Let's talk about your new policy and the future of your company. We can also schedule an appointment to talk in person. Our office is located at 8 S 8th St.